Welcome to the blog of the Spanish Network of Early Career Researchers in Criminology. Facilitate the exchange of knowledge and experiences between postgraduate criminology researchers in Spain. Promote academic collaboration among young criminology researchers in Spain. Publish information on calls, grants, scientific events, publications and other topics of interest for any user interested in the field of criminology. Establish synergies with networks of young researchers who carry out their research activity in related areas, as well as networks of early career criminology researchers in other countries. 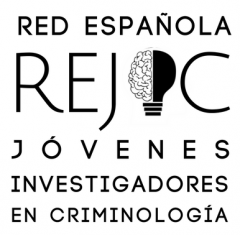 The Spanish Network of Young Criminology Researchers is a section of the Spanish Society of Criminological Research (SEIC). Please contact us if you need further information in English about our Network: steven.kemp@udg.edu or tobiasgretenkort@gmail.com.